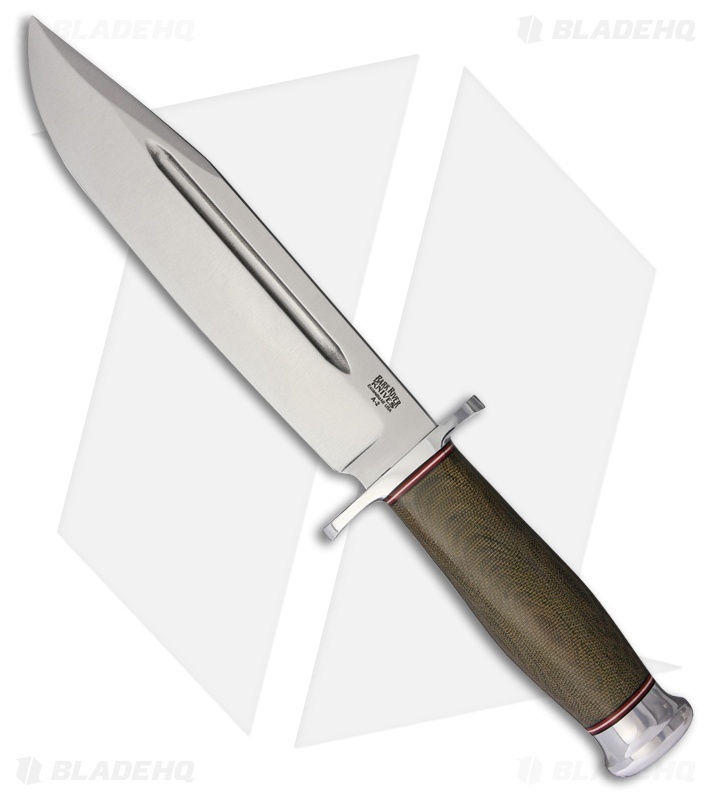 Part of Bark River's historical series, the Teddy II's large bowie blade and comfortable stacked leather handle makes it a full sized knife capable of any camp or hunting task. The 1/4" A-2 tool steel blade excels as heavy chopping or hacking, while the convex ground blade easily completes detailed cutting tasks like processing game. The large blade features an attractive swedge and long fuller. Integrated stainless steel hand guard adds extra safety while the smooth, contoured green canvas micarta handle is comfortable in hand. The included leather sheath with snap closure ensures a safe and secure carry.